There are many professions that involve intense physical exertion on a daily basis. Most organizations where this type of work is required take safety precautions such as providing breaks, back braces and similar protective gear to avoid physical injuries. One factor that is often overlooked however, is the danger that extreme heat presents to laborers. Prolonged exposure to high temperatures can cause serious illness and even death. Workers who are continually subjected to direct sunlight without substantial wind or liquids are at risk for heat rash, cramps, heat exhaustion and heat stroke. Companies operating in labor intensive settings are responsible for protecting their employees form these dangers. Fortunately, there are some simple steps to establishing an effective heat illness prevention program. 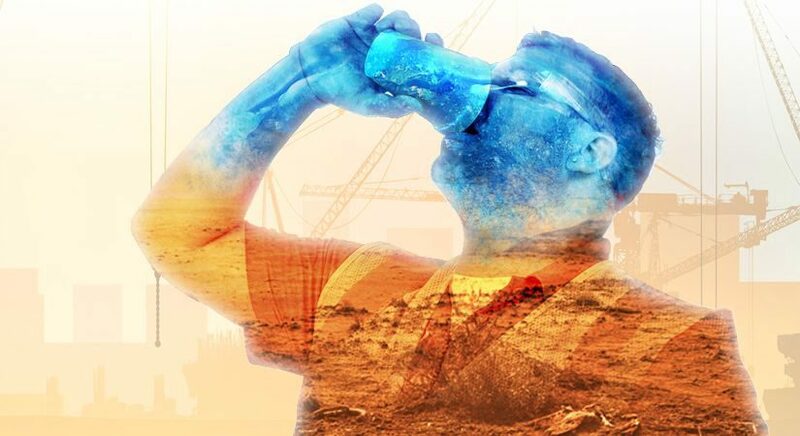 The first step is to educate your employees on the symptoms of heat-related illnesses such as headaches, nausea, cramps and the more serious symptoms; confusion, slurred speech, altered mental status, seizures and loss of consciousness. Anyone experiencing or observing someone with these symptoms should immediately leave the work space and report to the appropriate staff. Call 911 for the more serious symptoms. First aid techniques for heat stress include removal of excess clothing and placing a cold wet cloth or ice on head, neck and armpits and taking them to a medical clinic. « Previous Post: Hand Hygiene: Are You Part of the Solution or the Problem?